Cape Town's drought would not have reached a crisis point and the economic consequences might have been avoided had the city council taken action earlier, according to Deputy Mayor Ian Neilson. "By the end of the winter in 2017 we knew what the dams were and we should have implemented tough water restrictions and tariffs then. Day Zero was always there but if we had acted earlier we would not have got to that point of crisis, and the economic consequences might have been avoided," Neilson said. 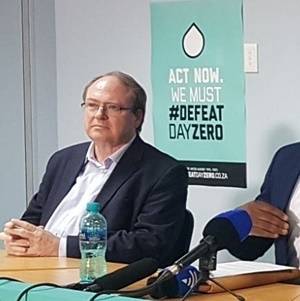 Neilson spoke to News24 on the sidelines at the launch of a documentary on Tuesday about Cape Town's water crisis in which 50 people speak about what they learned from the Day Zero crisis. Neilson, one of those interviewed in the film, said afterwards that watching the extracts had forced him to relive one of the toughest periods the City had ever been through. "The key issue was that we had so few options. Time was limited, money was limited, so our ability to respond was extremely limited. We realised that there was one main issue: we had to get consumption down. It was the only thing that was going to work. 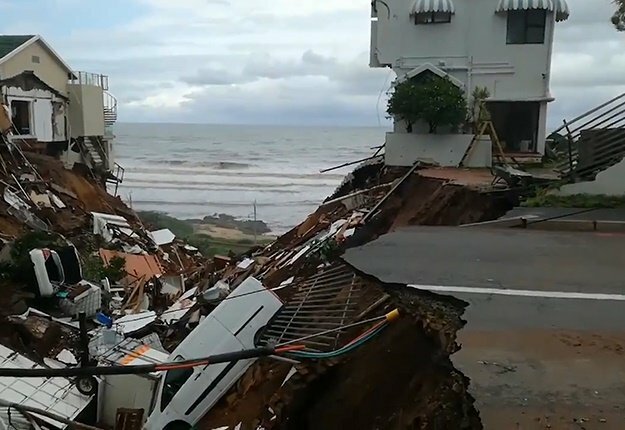 It was the people of Cape Town that saved us. They saved 40% to 50%." The other crisis was that they city council realised it was also running out of money. "That was the other side of the equation. Not only were we running out of water but we were running out of money, billions of rands." Because the water restrictions had led to a massive cut in water consumption, the city had lost R700m from the lower water bills citizens paid in the first six months of 2018. Once the water tariffs had been increased in mid-year, the council was able to recoup this loss. "We also realised we had to make provision for billions of rands if we did not get rain that winter, because that meant we would have had to accelerate a lot of augmentation projects and it would have been a big financial strain." The idea for the documentary came from Peter Willis, who runs a facilitation company. He wanted to capture some of what had been an "existential crisis for four million Capetonians". He teamed up with Mark New and Gina Ziervogel from the University of Cape Town's (UCT) African Climate and Development Initiative and filmmaker Victor van Aswegen. Called Cape Town Drought Response Learning Initiative, the film will become part of UCT's Film Library, launched on Tuesday. Willis said Day Zero, the approach of the date the authorities had pinpointed as the day when Cape Town's taps would run dry, had been a time of rapid learning. By interviewing 50 key people, he hoped the film would capture what they had learned so that it could become a resource for decision-makers in Cape Town and other cities that may find themselves in a similar crisis. A future part of the project will be a 90-minute documentary called Day Zero aimed at a global audience. New said capturing different perspectives was important. "History gets rewritten very rapidly. We will have primary evidence which will be unique for an event like this," New said. It would be a resource for research students. Neilson said in the film that in 2017 the City had realised there was a water shortage and had set in place a programme to build augmentation schemes rapidly. But they soon realised that the short time they had to implement these schemes meant they had become "an impossible dream". "It was impossible to believe that a water supply system that had been built over decades would be built in a year." One of the good measures the City had taken was to implement water pressure management before the crisis, which could be escalated during the crisis. This had saved 70 million litres of water a day, Neilson said. New said because of the amount of greenhouse gases in the atmosphere, the risk of a severe drought happening again was three times greater. "So you should be expecting many more in the future." Andrew Boraine, CEO of the Western Cape Economic Development Partnership, said in the film the drought had been made worse by a fragmented system of governance. "The problem with a government system of mandates is they stop people seeing the system as a whole. We had a hydrological crisis with a governance crisis, which brought us closer to Day Zero," Boraine said.